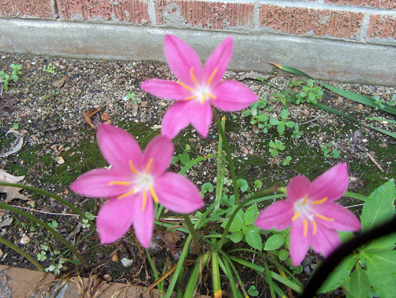 Comments: This rain lily, native to Mexico, does exceptionally well in shade. In summer's heat it produces large, showy, hot-pink flowers on tall stems and thin, strap-shaped foliage. Provide a moist, porous soil.